In the 1960s Dr. Martin Luther King fought for equal civil rights on behalf of African-Americans while President John F. Kennedy was trying to shift US foreign policy towards a peace race instead of an arms race. In their actions, these two men represented the qualities of the archetypal hero – their shared desire to unite society, and ultimately all of mankind. That sounds reasonable to me. The trouble, however, with identifying one’s politics, is that, as time goes by, the meanings of words change. For example, during the 1930s, ‘fascist’ applied to someone who supported the nationalistic ideology of that era. Today the term can mean a far-right or far left supporter, or a peanut butter and jelly sandwich. The meaning of terms today also vary from person to person, so one word can have multiple meanings, even if they tend to aggregate around one ‘common sense’ meaning. A psychopath, you can imagine, has a totally different conception of the word ‘freedom’ than you have. How the heck did we end up here? One answer may be that, during the 1960s, left-leaning political activism – defined as public political activity – had more plausibly (or objectively) just causes to protest and promote, such as the Vietnam War and civil rights. At the time, the Jim Crow segregation laws sustained polarizing attitudes and substantial inequality of opportunity, while the lynching of African-Americans was still relatively fresh in people’s memories. The Vietnam War was a tragedy that caused the deaths and suffering of millions of people, and like all US wars overseas, it was motivated primarily by geopolitical greed and exploitation. The wars of course haven’t ended: the US military industrial complex is a thriving multi-billion dollar industry and every bomb detonated propels $$$ into the pockets of shareholders. But any truly positive effect that the anti-war movement of 1960s might have had was effectively neutered by secretive and illegal COINTELPRO operations like Operation Mockingbird, which were used to manipulate and direct popular culture towards a specific goal and against itself. 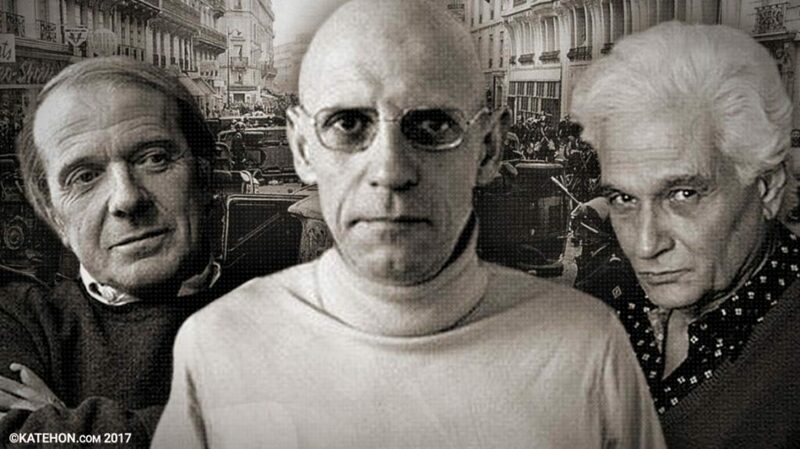 In parallel, French postmodernist philosophers were picking up from where communism had already failed, and a new ideology was born – Postmodernism – that sought to relativize everything in an effort to undermine the existing power structures. Communism was based on the Marxist idea that capitalism would eventually fail, when the working class (proletariat) – who Marx said were oppressed by the economic ruling class (bourgeoisie) – would revolt. But the revolution didn’t come from the ‘bottom-up’ as Marx had predicted; instead the ideology that gave rise to the revolution came from the top down. When the ideology that drove Communism proved to include the unfortunate side effects of being genocidal and a total failure, philosophers who were unable to accept that fairness, equality and utopia were not socially enforceable concepts, changed the focus from capitalist economics and the struggle between working and ruling class to the power that privileged groups hold over disadvantaged ones (e.g. different minorities), and which they use to oppress them. Hence Marxism morphed into postmodern ‘Cultural Marxism’. Today this has become a veritable religion of victimhood, where all life is reduced to power battles between different groups in the social hierarchy. The essence of postmodernism is that there can be no unity or mutual understanding – it’s a war of all against all in the quest for power. Activism in itself isn’t a good or bad thing; its benefits to society always depends on context. When Rosa Parks refused to give up her bus seat in 1955, her actions were guided by deeply felt moral values that conflicted with the undeniably unjust societal rules that existed to artificially and arbitrarily separate people and flagrantly and unnecessarily discriminate against one segment of society. But today’s activism is little more than a personal and group dynamic feeding ground for projecting individual resentment and bitterness at life onto chosen ‘minorities’ or ‘oppressed groups’, or expropriating the alleged oppression and suffering to oneself for personal aggrandizement. Whether or not any of the alleged injustices actually exist is beside the point, and any honest investigation into this topic is studiously ignored or actively suppressed and silenced by the activists, usually through accusations of being a Nazi. One example is the professor who in 2016 tweeted that all he wanted for Christmas was “white genocide” is clearly motivated by personal resentment and self-interest and merely a racist who claims to be an anti-racist. The postmodernist reinterpretation of Marxism has, therefore, been a major contributor to the chaos that has erupted across the social sphere over the last few years. It is not surprising that much of the debate has centered on higher education institutions given that these are the philosophical backbone behind modern activist movements where many of the high priests of social justice reside. Professor Jonathan Haidt has suggested that the rapid decline in standards at US universities is due to the political polarization in academia in recent years. Up until the early 1990s, the proportion of liberals and conservatives (in the social sciences) was between two-to-one and four-to-one. When the older and generally more conservative pre-WWII generations retired, the liberal-to-conservative ratio dramatically polarized to a fourteen-to-one ratio (between 1995 and 2010). This means that the worldviews of academics at US universities has grown extremely biased, creating an intellectual bubble that ‘guards its own’ with safe spaces, microaggressions and trigger warnings, while becoming openly hostile – totalitarian even – towards opinions that challenge the liberal orthodoxy. Many Baby Boomers and Gen Xers can remember riding their bicycles around their hometowns, unchaperoned by adults, by the time they were 8 or 9 years old. In the hours after school, kids were expected to occupy themselves, getting into minor scrapes and learning from their experiences. But “free range” childhood became less common in the 1980s. The surge in crime from the ’60s through the early ’90s made Baby Boomer parents more protective than their own parents had been. Stories of abducted children appeared more frequently in the news, and in 1984, images of them began showing up on milk cartons. In response, many parents pulled in the reins and worked harder to keep their children safe. The flight to safety also happened at school. Dangerous play structures were removed from playgrounds; peanut butter was banned from student lunches. After the 1999 Columbine massacre in Colorado, many schools cracked down on bullying, implementing “zero tolerance” policies. In a variety of ways, children born after 1980 – the Millennials – got a consistent message from adults: life is dangerous, but adults will do everything in their power to protect you from harm, not just from strangers but from one another as well. These same children grew up in a culture that was (and still is) becoming more politically polarized. Republicans and Democrats have never particularly liked each other, but survey data going back to the 1970s show that on average, their mutual dislike used to be surprisingly mild. Negative feelings have grown steadily stronger, however, particularly since the early 2000s. Political scientists call this process “affective partisan polarization,” and it is a very serious problem for any democracy. As each side increasingly demonizes the other, compromise becomes more difficult. A recent study shows that implicit or unconscious biases are now at least as strong across political parties as they are across races. 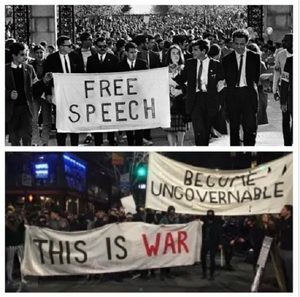 So it’s not hard to imagine why students arriving on campus today might be more desirous of protection and more hostile toward ideological opponents than in generations past. This hostility, and the self-righteousness fueled by strong partisan emotions, can be expected to add force to any moral crusade. A principle of moral psychology is that “morality binds and blinds.” Part of what we do when we make moral judgments is express allegiance to a team. But that can interfere with our ability to think critically. Acknowledging that the other side’s viewpoint has any merit is risky – your teammates may see you as a traitor. The research that Professor Jonathan Haidt has done shows that liberals rely mostly on the first three moral foundations, whereas conservatives use all six of them more effectively. It’s an interesting finding, and one that strongly suggests pronounced differences between people’s ‘moral matrices’. We all share the same planet, but we apparently live within different worlds on it. According to Haidt, his own identification and position as a liberal has changed over the years of his research; what he learned has basically forced him to redefine himself as mostly conservative. “There are reasons why people see the world differently and you can’t just easily say that one is right and one is wrong. The liberals are correct about the borders; that if you thicken them too much and diminish the information flow, you’ll risk making the society so static that any radical environmental transformation will sink it. But the conservatives are right in saying that you pay a big price with newcomers and new information, with regards to risk of exposure through contamination, but also to contaminating ideas. Different ideas attract different people depending on their psychological and spiritual make up. We can label those ideas as conservative or liberal, but their content can and does change as time goes by. This brings up an interesting question (for me at least): would those people in the 1960s who supported Martin Luther King and voted for John F. Kennedy be conservatives or liberals today? A fairly profound understanding of human psychology and the truth of human history is necessary to see objectively which ideologies and public figures are pathological and thus threaten to lead a nation (or world) towards destruction. 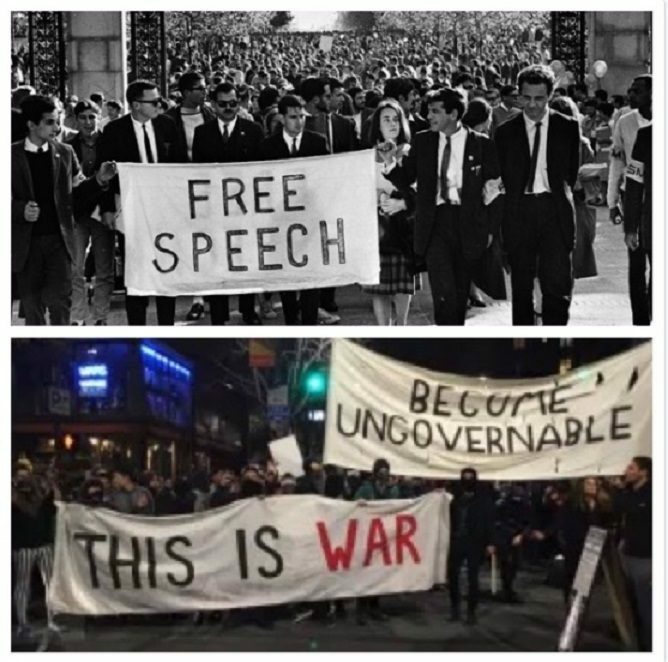 History may not repeat, but it sure does rhyme, and it seems reasonable (if not expedient) to consider that the people that embraced fascist ideology in 1930s Germany had the same moral matrix as those who today march under the banner of anti-hate speech, equality, anti-racism, anti-sexism etc. etc. Seppo Ilmarinen joined SOTT.net in 2014. Seppo is from Finland and has a professional background as a teacher. He enjoys reading, winter swimming and eating bacon. Are you perturbed by what’s happening in America? Are you shocked by inequality, disappearing middle class, declining quality of health, police brutality, gun violence, ever-growing national debt, government’s Orwellian monitoring etc.? You are not alone, but all these are confusing only if you think in terms of an “American government” or “American corporations” or “American banks” that have, or should have, unique loyalty or consideration towards the American people. But that’s the wrong way to think about American today. Everything becomes clear if you think of it as a “System”. Why would we be surprised that there are millions of Americans who work full time and yet live in poverty, when the System exploits people in other countries for much, much lower wages? In the cost-savings Excel sheet of the System, a Walmart worker is still 10x more expensive than the worker from that ‘other’ country. We cease to be surprised that Bank of America and JP Morgan Chase defraud American homeowners when we realize that the System brought down whole countries such as Greece, Spain, Italy, Ireland and Portugal using the same financial engineering schemes, lies and manipulations. Most of these countries are now being looted by the austerity programs demanded by the same System. How can we be shocked by gun violence in America when the System is the #1 exporter of guns and weapons in the world? The System thrives on violence. The System loves perpetual wars – Iraq, Libya, Syria, Yemen, Somalia, Sudan, Afghanistan, Pakistan, Niger … just to name a few countries the System has bombed in the last decade. The System is also planning for bigger wars with North Korea, Russia and China. If police brutality and militarization of police is disturbing, we have to realize how the System supports, and has supported, dictators all over the world when it is/was profitable to do so. Many ruthless dictators in Latin American countries, Africa, Middle East and Asia were handpicked and put in power by the System. Some were even trained in a special school in the U.S. The system gladly funds and arms terrorists in Afghanistan, Libya and Syria. All that valuable experience can’t be wasted. When it comes to child poverty, no one should be surprised that America ranks at the bottom among developed nations. From Apple to Calvin Klein to Hershey’s, many corporations depend on child labor for their stocks to outperform the expectations of Wall Street analysts. When the System profits from ten-year-olds working in toxic mines in third-world countries, American kids on food stamps look quite spoiled. The ‘poor’ in America don’t realize how good they have it. For anyone who is enraged by our exploding national debt, don’t be. Debt is the ultimate tool for the System to enslave nations. The economic hit men of the World Bank and the IMF have, over the last 75 years, mastered this art of drowning nations in debt in order to control them. Does anyone think it’s a coincidence that Russia – the country the System loves to hate – has a debt-to-GDP ratio of 17%? Compare that to America’s 105% or Japan’s 250%. The System doesn’t like countries with low debt, just like it doesn’t appreciate people trying to go off-grid in America or people thinking for themselves. This is also the same reason that Americans save only 2.4% of their income while US households have a record debt of over $13 trillion. Credit cards, student loans, auto loans and mortgages are all different tools with the same purpose. Once you understand the System, you can’t feign surprise that wages are stagnant while the cost of living keeps going up. With all the advancement in science, one would think that healthcare cost would go down every year, but that would be naive. Healthcare (“sickcare”) is the best extraction tool, since people will give up a kidney (sometimes literally) for medical care when they are sick. The only things that are cheap are processed food and mass entertainment that are toxic to your body and mind respectively. Does anyone ever wonder if that’s just a coincidence? This is why America’s education ranks at the bottom of developed nations. As a Wikileaks email revealed, the elites “conspire to produce an unaware and compliant citizenry.” Translation: Dumb and Subservient. Do you wonder why fracking and GMOs are allowed to destroy America’s environment? The System couldn’t care less about the environment. It has destroyed an unimaginable amount of rain forest all over the world, and couldn’t care less about the thousands of species that are going extinct every year. The System hates sustainability and freedom. Just like how the older version of the System wiped out the Native Americans, the current System despises tradition, culture, religion, spirituality, consciousness, holistic medicine, anything that involves people taking care of and responsibility for themselves. By now, hopefully, you understand why lobbyists have taken over the American government and why we really don’t have a functional democracy. The System is not a fan of democracy. You really don’t think that the psychopathic elite would agree to run their lives and plan their grand strategies on the basis of the needs of millions of pesky little people, do you? Democracy and elections are just nice illusions so that we feel content, be passive, go to work, watch lots of TV, get into debt, spend our money on things we don’t need and, most importantly, believe in the righteousness of the System. Are you mad? You should be. The truth will set you free, but first it will piss you off. ← The Anti-Zionist Alliance: A New Focus?